With summer upon us we have so many choices for cute outfit options! With our assorted style of handbags, you to have variety of fun outfit options for where ever you go! Our team chose a mixture of outfits to pair perfectly with one of your favorite LCNY bags! Want a bag that reminds you of the Bahama waters? Check out our Paradise Blue Getaway handbag. Our luminous turquoise blue can be paired perfectly with a white dress and straw hat. If your feeling extra tropical put a Hawaiian flower behind your ear! 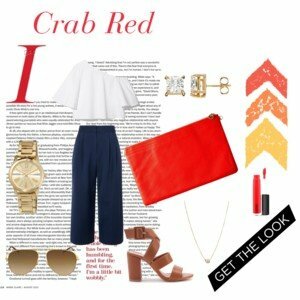 A way to feel bold and add a pop of color to a brunch outfit is by accessorizing with our Crab Red Folio bag. Grab someone’s attention with a bold bag and bright lip. This eye popping handbag color is perfect all year around. If the crab red side is too bright the other side is neutral! Make a statement with our Trophy Stretta handbag. A little black dress contrasts eloquently for a night out! Let us know in the comments section below which bag is your favorite and what you plan to wear on these upcoming hot summer nights!